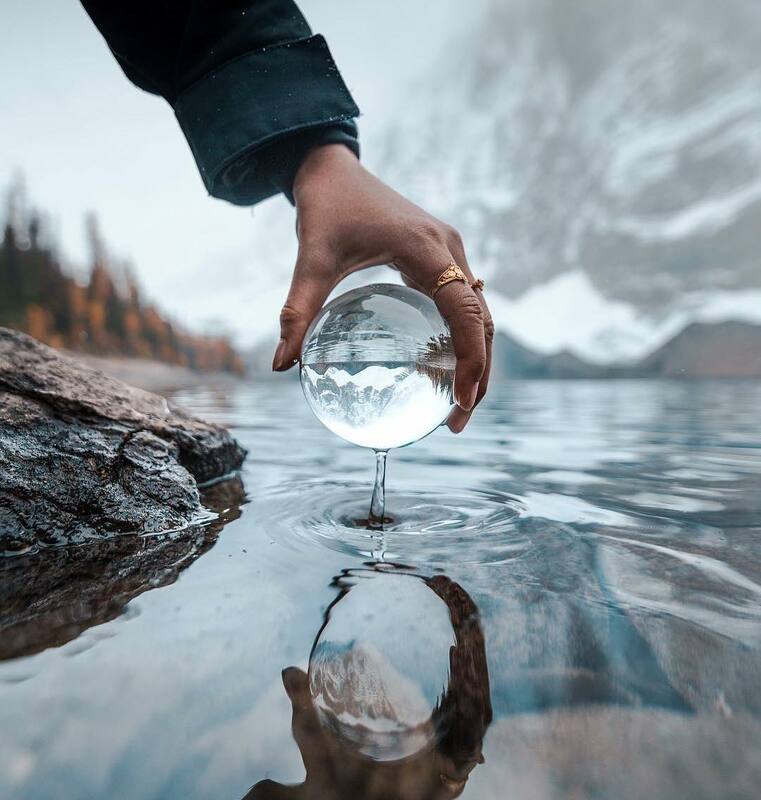 It is in the basic nature of an artist that they are always in the search of something new and innovative. One of the new trends among photographers is Lensball photography. When something new comes into the trend, there are a lot of questions that cross our mind about that. 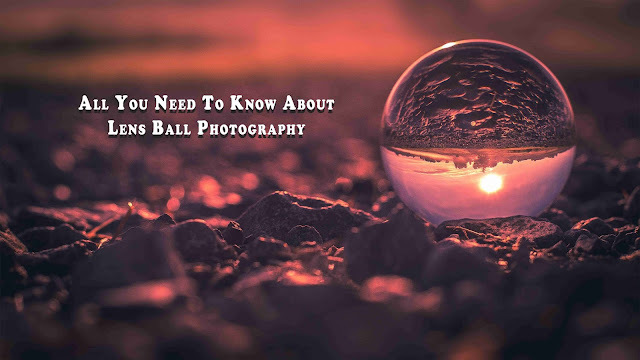 Here in this article, I am going to answer some of the popular questions asked, about the infamous Crystal ball photography or as we call it Lensball photography. Refraction is the phenomenon by which rays of light bends when it hit a medium denser than air like a glass or water surface. In the case of lensball, which is usually made of glass, when you take a picture focusing on your lensball the image formed in the ball is inverted. 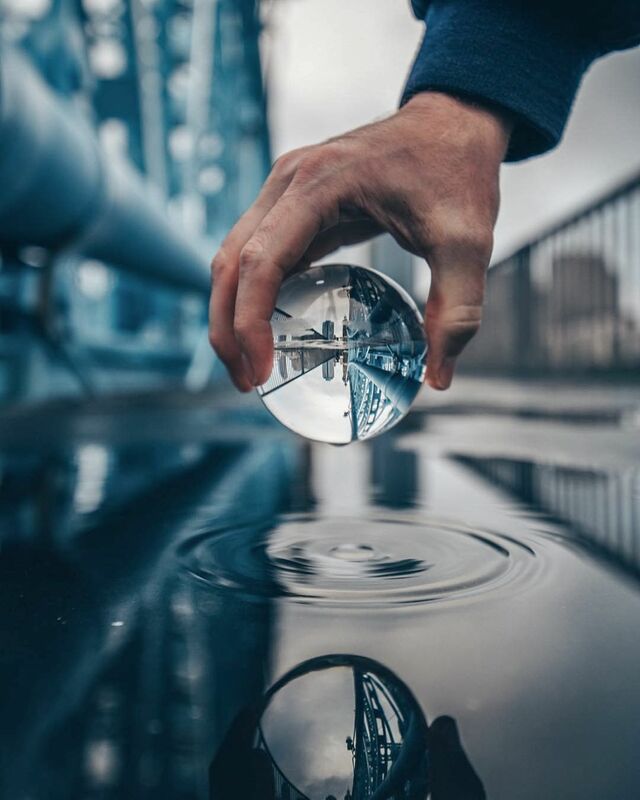 This is because of refraction. 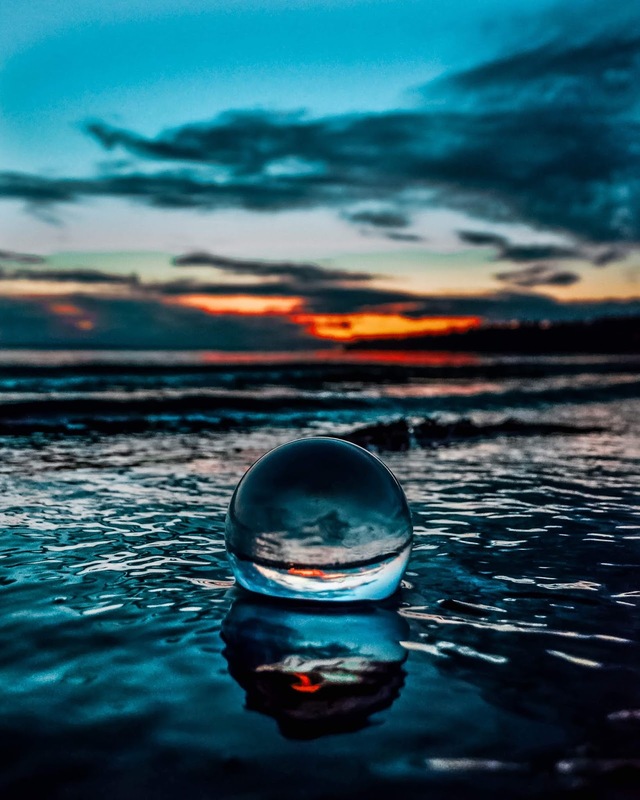 And because of this reason, lensball photography requires a certain amount of practice and special tricks to take a perfect picture. 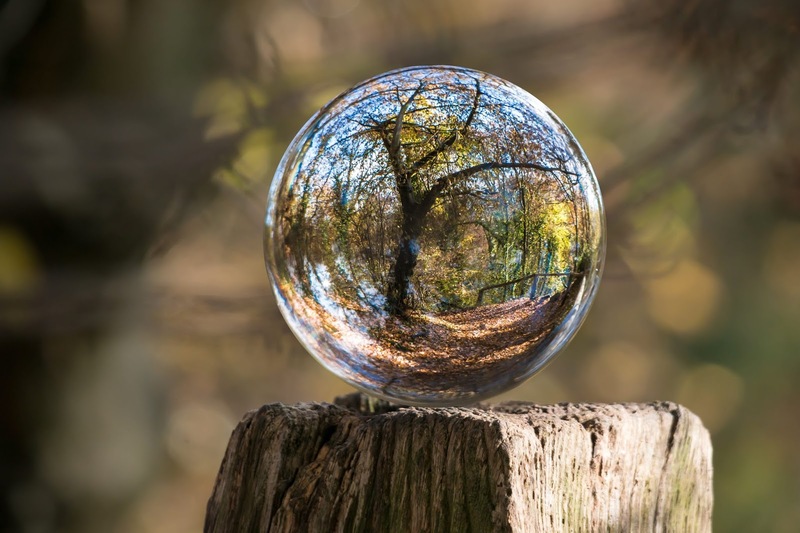 What is the purpose of lensball? Biggest purpose of a lensball is, it gives you a new feel, of the world, as you look through it. The image formed in a lensball is upside down along with a beautiful fisheye effect (effect in which the image looks bulged, it is closer in the centered and distorted at the corner). 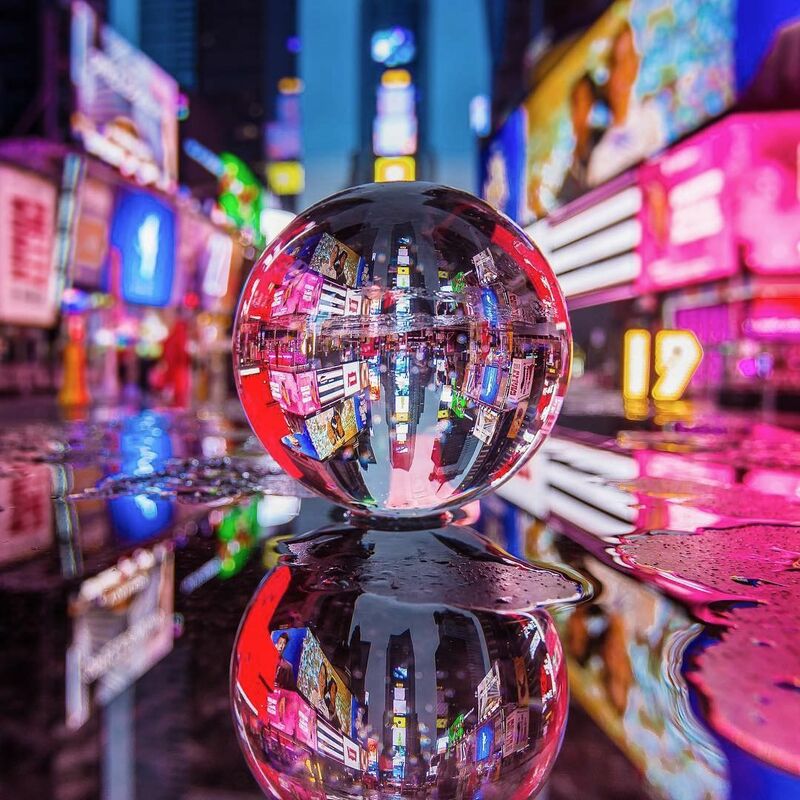 In short Lens, balls are a fun prop for the photographers who are looking to portray the world in a different form. 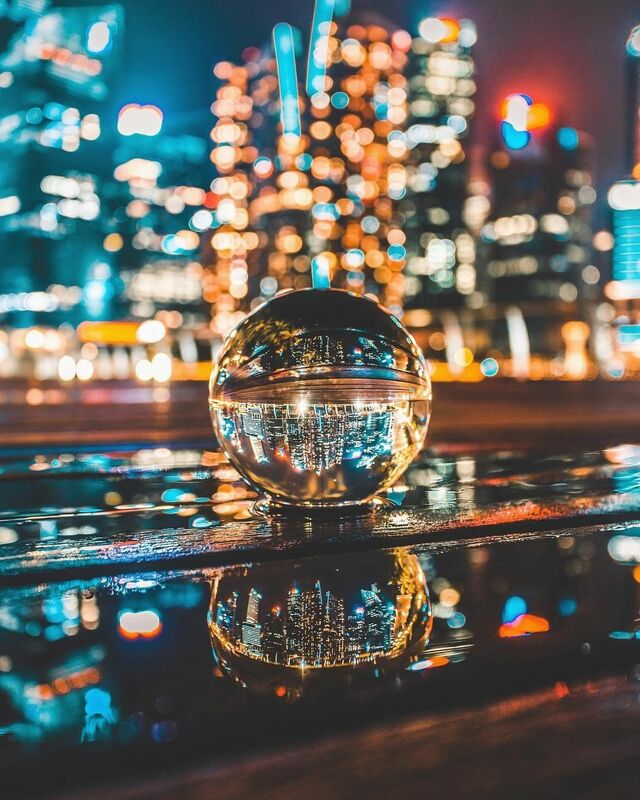 What are the types of lensball? 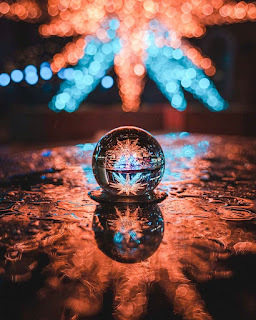 Now, since you know what is a lensball and how it works, you might be enticed to purchase one for yourself. But before that, your must know there are various types of lensballs available in the market. So let's see which one is best and servers your purpose. Any lensball less than 60 mm in diameter comes under this category. It is small, light weight and easy to carry along. These are also very cheap and easily available in the market. 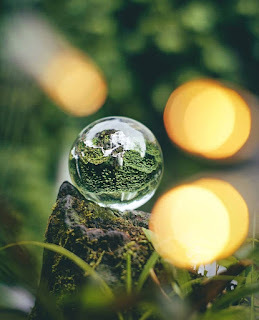 But as fancy as it sounds, these balls are little hard to handle, as being lightweight it usually rolls along with the wind when you keep it on a surface. 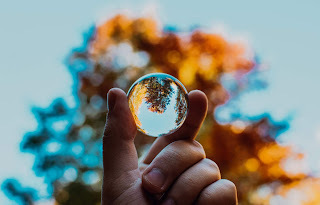 As the size of this lensball is small, one needs a Macro lens to capture an image with a whole lensball filling the frame. Normal Camera phones will not give a sweet image along with this lens. Also, the image is more distorted than clear. 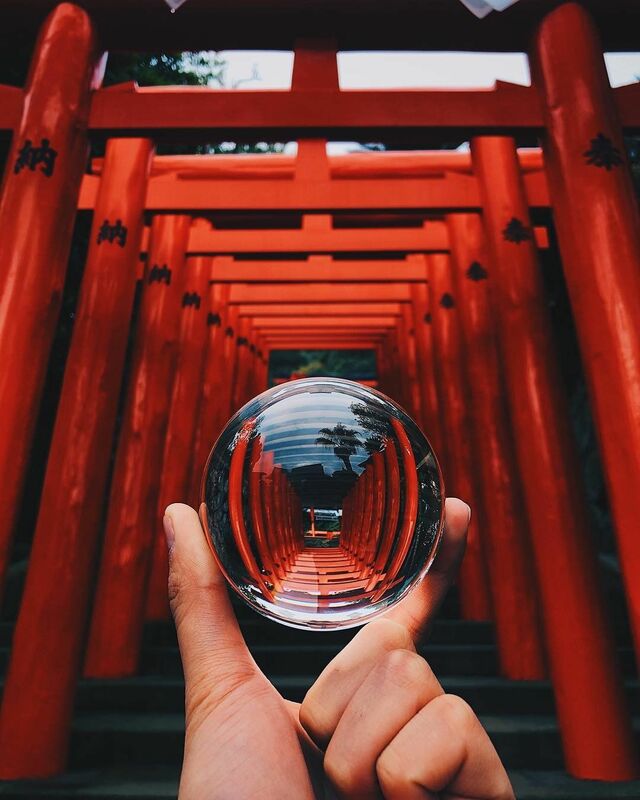 This is the most preferred size of the lensball. It is 80 mm in diameter. 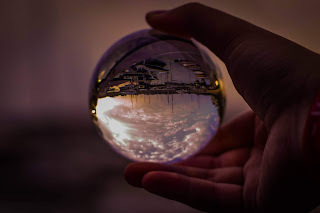 It is obviously heavier than a small-sized lensball but not too heavy to become a load in your carry bag. It is comfortable to hold as it fits comfortably in an average sized palm. Due to its weight, it will not roll along with the wind, hence gives you sufficient time to set up your camera. The image is less distorted and has a clear focal point at the center of the bulge. 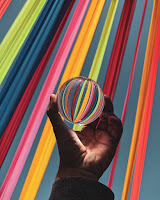 All the lensballs which are 100 mm or above in diameter comes under this category. 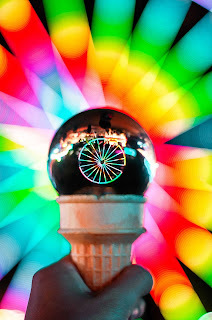 Special tripods are available in the market for this kind of lensballs. The image quality is really good as there is negligible distortion in the image. Also, because of its size, the image formed in the lensball is bigger and can be easily captured by using camera phones. 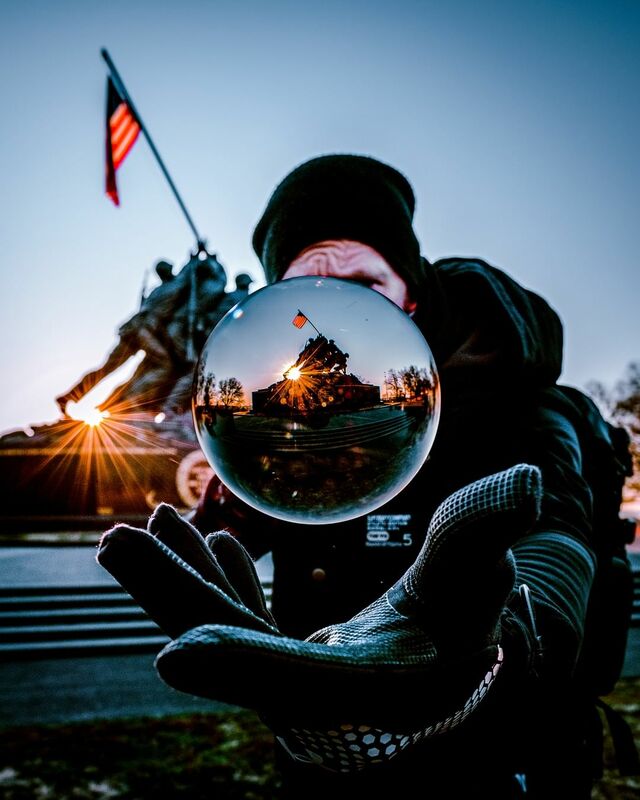 This size of lensball is no child's play. It is bigger in size and is really heavy. Also, it can cause a fire if kept in direct sun. 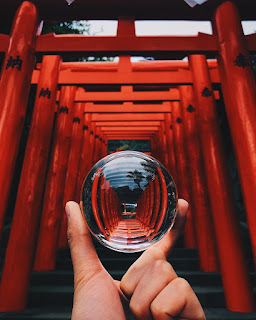 How much is a Lensball? 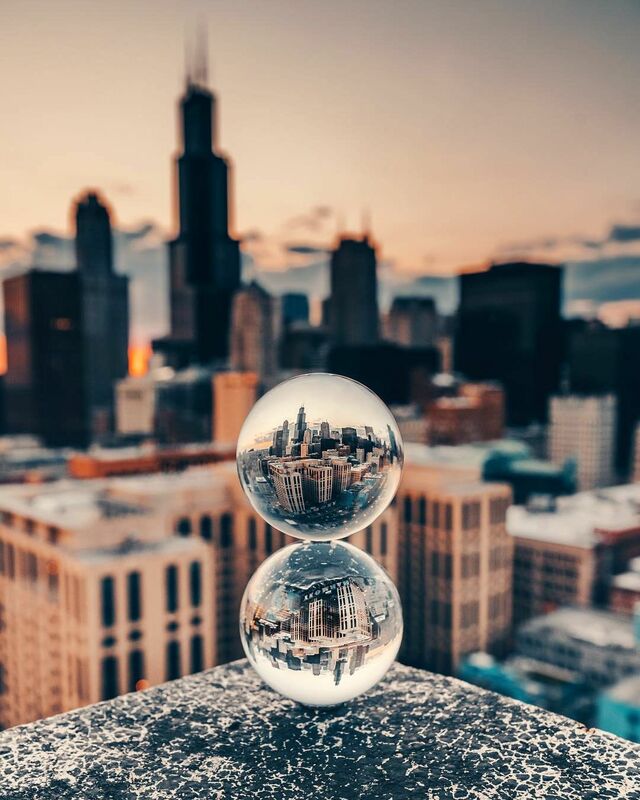 How do you take pictures with a Lensball? 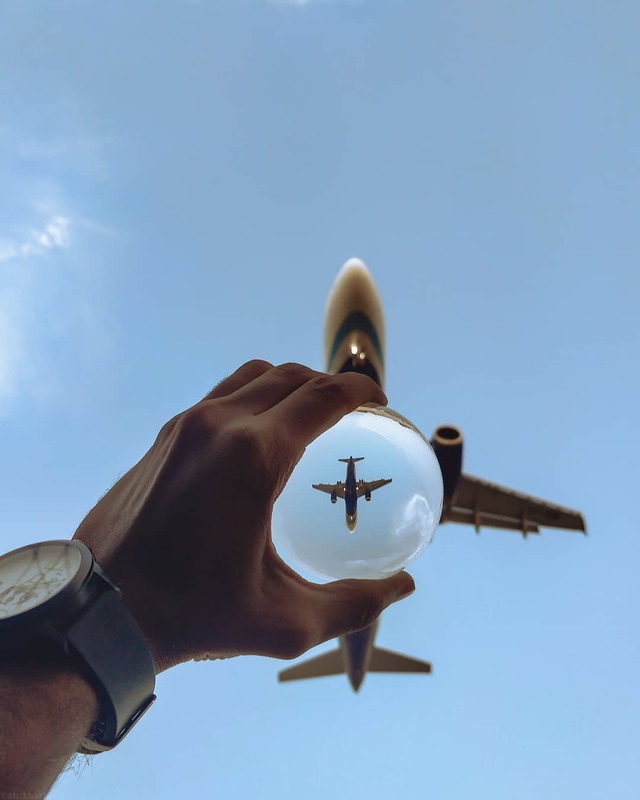 There are no fixed number of ways to answer, how to take pictures with a Lensball. 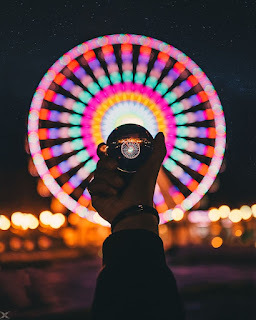 However, I will share a few Lensball photography ideas and image compostions tricks, that are trending among the popular photographer. 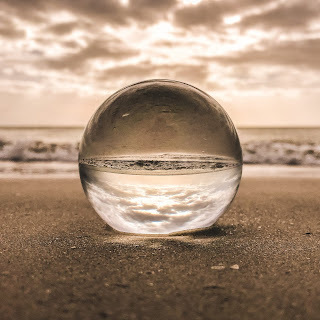 Place the lensball on the sand and focus your camera right at the center of the ball. The background will be a blur but beautiful shoreline along with the sea view will be captured. One of the popular subject in Urban photography is Skyscrapers. 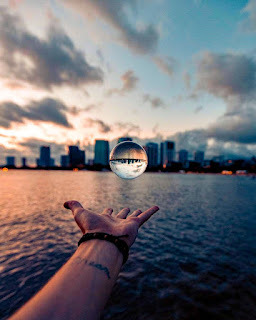 You can click these skyscraper or tall buildings through the lensballs to add some drama in your photograph. Keep the lensball on a reflective surface like wetland, tiles, mirror etc. 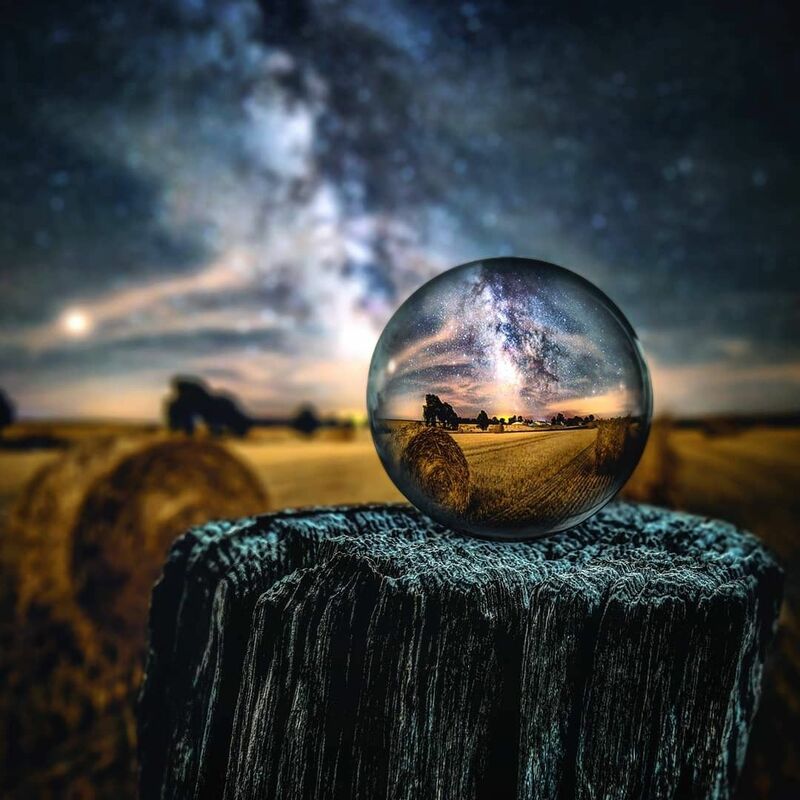 select a subject, adjust the lensball's position in such a way that the whole background is covered in its image, then focus on the lensball and click. Leading line photography is very common among photographers. 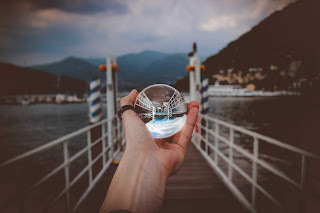 You have to make the lensball as the main subject and the lines or the parallelly aligned&nbsp;objects in the background, as shown in the picture. 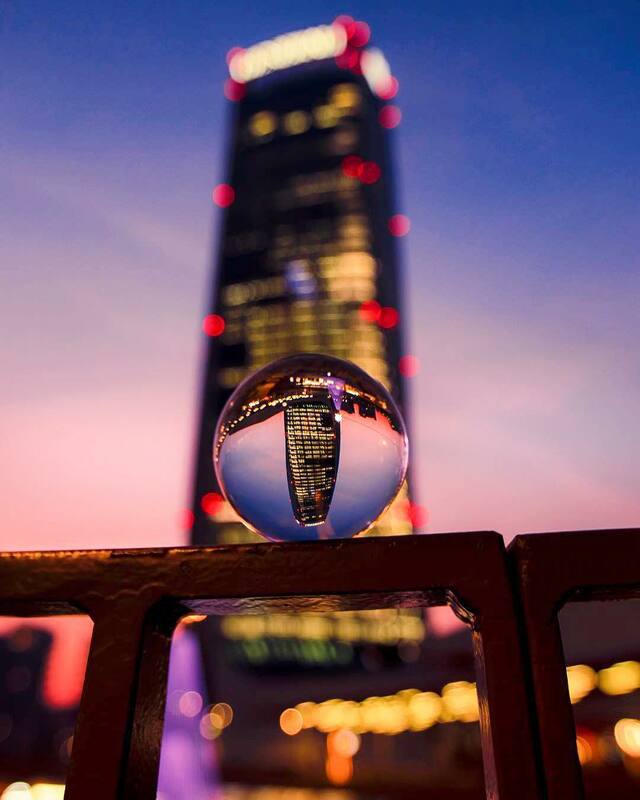 Climb at top of a high rise building and capture the image of the beautiful view of your city, formed in your lensball. 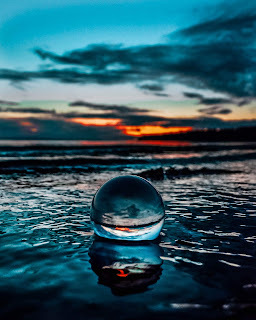 As you already know, that image formed in the lensball is the result of refraction. Now, put the lensball in front of a round shaped subject, the lights will bend from all the direction and the outcome will be really magical. 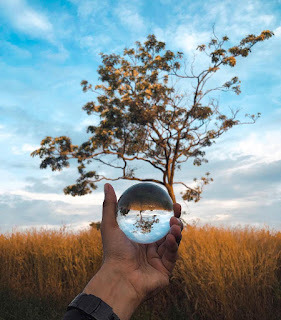 Select a tree standing alone in the midst of buildings or a farm or near a lake or in your backyard. Stand at an appropriate distance from the tree so that the whole tree image is formed in the lensball. Take your time to compose and then click the image. Place your lensball on a higher place like a log or stone, then capture the image from a lower angle, keeping the lensball in focus. Next time if you see a puddle of water or you go to a lake, dip your lensball in the water and capture that movement as the water drips from the lensball and it creates a ripple in the water. Throw the lensball in the air with one hand and click an image with your other hand before you catch the lensball back. 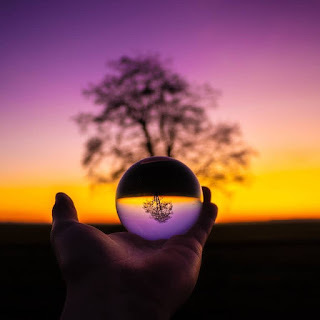 You can also ask someone to throw and catch the lensball for you while you click a nicely composed image as shown below. 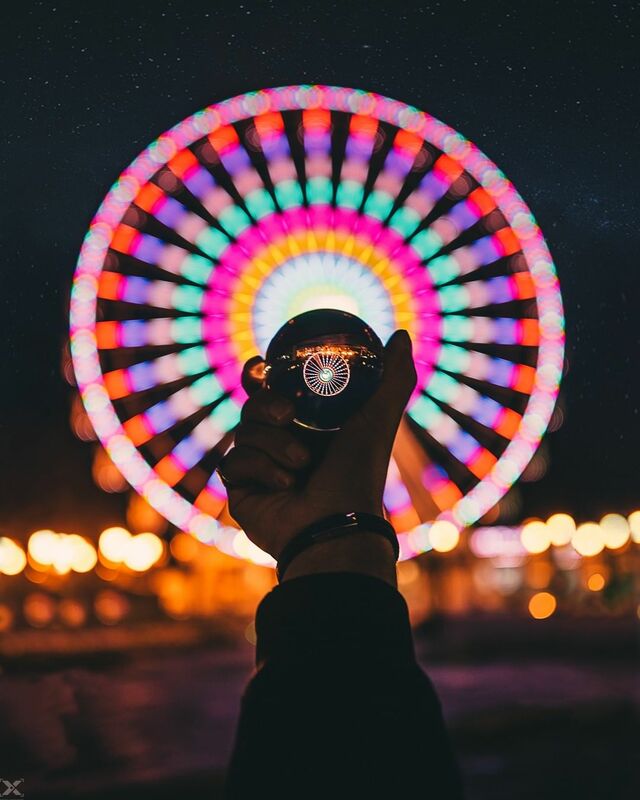 Did I answer all of your lensball related questions? If not leave your question in the comment section below. If yes, leave your feedback. 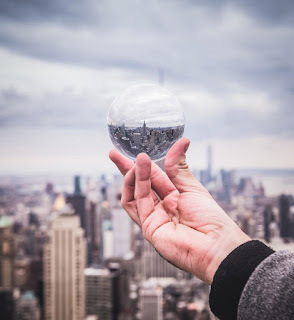 Photos that are used in this article are taken from onlne resources and use of these images are for educational purpose. No copyright infringement intended. All rights of the images are reserved with the owners of the images. Refer to the link attached to the images to know about the photographer. Great Post! Lot of information at one place. Best part was, Lensball photography Ideas . 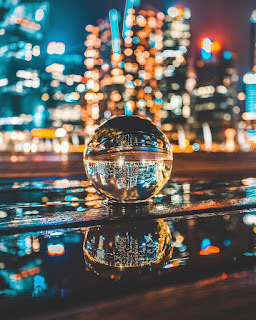 Hoping to see some of your lensball photography compositions .